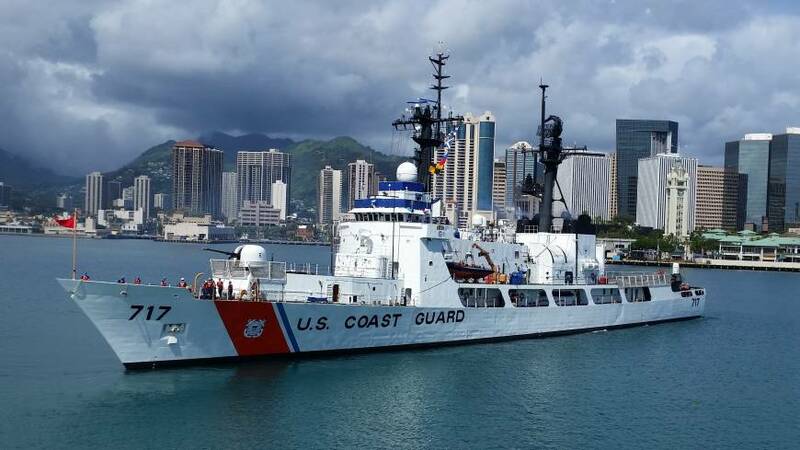 In a rare bright spot for strained Sino-U.S. relations, the U.S. Coast Guard has confirmed that it conducted joint operations in the Pacific with its Chinese counterpart this summer, part of annual patrols to deter illegal fishing. In a statement to The Japan Times, a U.S. Coast Guard spokesman said the USCG Mellon “rendezvoused and conducted a professional exchange” with two China Coast Guard ships. 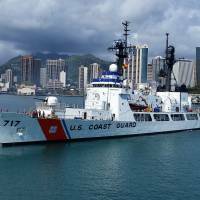 “The exchange focused on professional goodwill between coast guards,” U.S. Coast Guard District 17 spokesman Lt. Brian Dykens said. Dykens said the U.S. government has a so-called shiprider agreement with China in which the U.S. Coast Guard vessel works with one or two Chinese coast guard ships. After the rendezvous, Dykens said, the Mellon departed and resumed its scheduled patrol until returning to Seattle, its home port. Washington and Tokyo have traded barbs with Beijing over the disputed South and East China seas. In the East China Sea, Beijing sent a flotilla of hundreds of fishing vessels escorted by several armed coast guard vessels to the area near the Japanese-controlled Senkaku Islands, which are known as the Diaoyus in China. J. Berkshire Miller, a Tokyo-based international affairs fellow with the Council on Foreign Relations, cautioned that while the joint exercises are a positive development, much more is needed to be done to cool searing tensions between the two nations. The summer’s joint operations were important “considering the key role that China’s coast guard is playing — and indeed contributing to — with regard to regional maritime tensions,” Miller said. “That said, it is important not to place too much emphasis on the operation. This represents baseline cooperation and is a low-hanging fruit,” he said, adding that it was unlikely to have a tangible impact on the broader strategic rivalry that the U.S. and China currently find themselves embroiled in — both in the East and South China seas. According to Miller, de-escalating tensions in both contested maritime areas will instead require a more earnest approach from China. “In the East China Sea, for example, Beijing should work earnestly with Tokyo to follow through on commitments to implement crisis avoidance mechanisms surrounding the Senkaku Islands,” he said. “Unfortunately, it seems that China continues to emphasize coercive actions rather than a more cooperative tact. The U.S. Coast Guard said this summer’s annual patrols are conducted in partnership with North Pacific nations, “to detect and deter illegal, unreported, and unregulated fishing activity, including large-scale pelagic drift net fishing on the high seas,” adding that regional partners in the efforts involved multiple countries, including Japan, Canada, Russia, South Korea and China. It said patrols are conducted annually and have taken place for over 15 years, with the most recent ones focusing on high seas drift-net fishing in international waters in the North Pacific Ocean. 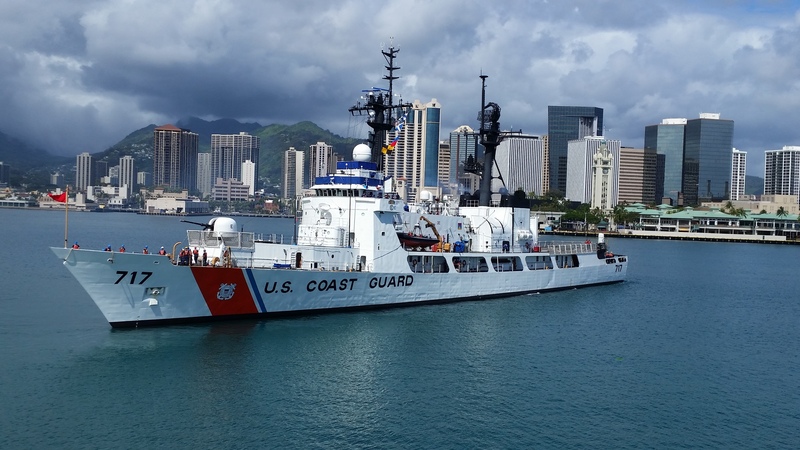 While this partnership has resulted in the seizure and removal of Chinese-flagged vessels engaged in illegal high seas drift-net fishing, this year’s patrols ended with no illegal activities being detected in North Pacific waters, Dykens said.